It was 1969. I had been on the road for maybe five months, traveling through Eastern Europe to Turkey, Iran, and Afghanistan, following the infamous “Hashish Trail.” (Yes, I had read Midnight Express.) My mode of transportation from Holland had been thumb, bus, and train, always looking out the window at places I wished I could have stopped to explore. Now I was sitting in the Pudding Shop in Istanbul, sipping a cup of Turkish coffee, the kind you almost have to chew—and there it was, right across the street in the little plaza: a Land Rover Dormobile. That had to be the answer. Travel was in my blood. San Diego State was my 13th school, including three in Mexico. After a second trip to Turkey to export sheepskin coats, meerschaum pipes, and Turkish puzzle rings—remember those?—I was more determined than ever to stay on the road of adventure. Then, on another fateful day, walking down Lombard Street in San Francisco, there it was again: a blue 1967 109 Land Rover Station Wagon sitting in a British car showroom. I bought it on the spot. I called it La Tortuga Azul, The Blue Turtle. Its ancient 6-cylinder, side-exhaust-valve engine came out of a Rover touring saloon in a futile attempt to give the 109 enough poop for American freeways. Nineteen sixty seven was the last year this model was imported. But hey, one Land Rover with a tire on the hood looked like it was going somewhere. Two together looked like an expedition. Was that an elephant I heard? I started buying maps of South America, even believing that I could drive across the Darien Gap. I had a Land Rover! Never mind that the engine choked on Mexican Pemex Nova. No problem. I stopped at airports and bought five gallons of 130-octane aviation fuel, and mixed that with Nova and a can of Marvel Mystery Oil. I felt like a bartender. I traveled slowly with a house on my back, and I could go anywhere. The analogy fit, and The Turtle Expedition, Unltd. was created. Along the way, I met Monika on a beach in Baja. Being Swiss, she tolerated my Capricorn perfectionism. She knew how to rough it, and she liked my kitchen, so we got married (short story). Many changes later—roof racks, a support trailer, auxiliary fuel tanks, an overdrive, and finally a Chevy 250 6-cylinder engine swap (major improvement), I came to realize that despite the aura hovering over Land Rovers, I had been blinded by that tire on the hood. 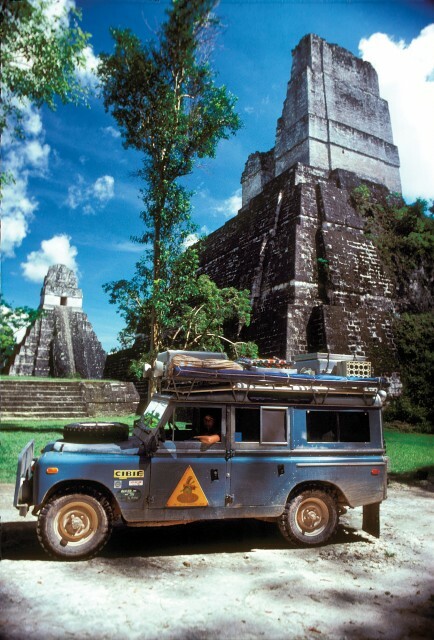 Repair shops for Land Rovers in Mexico were few to non-existent. We won’t talk about brake and clutch master cylinders or axles, okay? Still, I’m not complaining. After nine years on the road, throughout Mexico and parts of Central America, the Turtle I served us well. Even the two-fuse electrical system seldom failed. 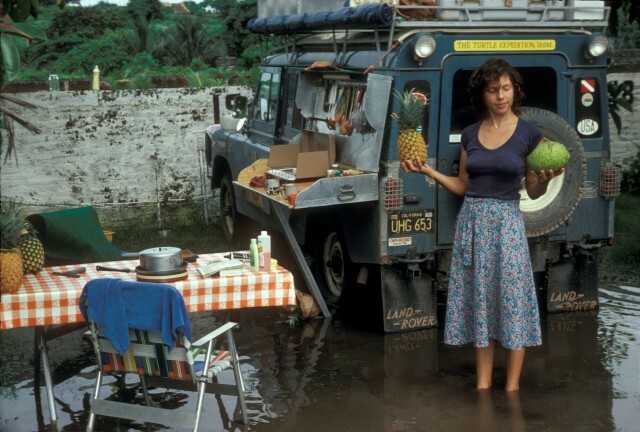 We had learned the basics of what was required for an overland travel vehicle: a comfortable bed, a place to prepare healthy meals, safe water, security, and room to pack the tools, repair parts, and toys for the destination. Absolute reliability of your vehicle came later. The term “comfort” is very personal. Some people require a motorhome with one sink to brush their teeth in and a different sink for washing dishes. Some may need a private room to pull up their pants twice a day. Others are fine with a rooftop tent on an SUV, and a shovel behind a bush. I like to think that if you’re traveling in a third-world country for several months and you can’t go to the bathroom in front of your companion, you probably have more problems than we want to discuss here. Overlanding in developing countries usually necessitates some adjustments to your “comfort” requirements. For any serious backroad travel, size and weight are the limitations. Much depends on where you intend to go. We realized early on that we follow roads—sometimes very bad roads, but nearly always roads. The term “off road” is a misnomer, most of the time illegal or immoral. We had learned a lot. With more comfort and reliability in mind, we sold the Land Rover and began building the Turtle II on a Chevrolet pick-up. It was another time of experimentation, and more than a few mistakes. The Chevy’s advantage was that it could pull a heavy trailer and carry a boat on top. We tweaked the original 350 V8 to a point where it didn’t know whether it was coming or going. Cams, headers, manifolds, carburetors, water injection; we bolted on every performance item we could find. Most of them didn’t work. It was still a 350 V8 that preferred high-octane fuel and never got more than 12 mpg fully loaded. On Mexican fuel it was hopeless. The Turtle II’s original custom Callen Camper had a portable kitchen, teak interior, boat rack, and numerous other additions, and it took us down the road of some great adventures, but it never had the comfort we were looking for. The fact is, in developing countries, life changes. Along with the bugs and rain that increase as you travel toward the equator, being able to go inside and close the door (away from the stares of ever-curious locals) becomes more a necessity than a luxury. The Four Wheel Pop-Up Camper seemed to be the perfect solution. Modified to our needs, we now had a standing-height living area with stove, water, sink, heater, refrigerator, and a comfortable bed, yet its low profile and light weight retained the mobility we knew we needed to reach the remote backcountry. Scrapping the Turtle II’s 350, we had Louie Unser build a custom big-block 454 V8, bored to 460, balanced and blueprinted. We kept the compression low and took the power from the big displacement in a successful effort to run on low-quality fuel, but we still never got much better than 12 mpg. Reliability of the Turtle II’s engine and the automatic transmission proved less than satisfactory, making it a poor choice for extensive travel in Central and South America. The truth became apparent. Detroit manufacturers spend millions of dollars designing engines, and if you think you can outdo them, you’d better know what the hell you’re playing with. Economy? There’s no free ride. The Turtle II had taught us lessons that we would apply to The Turtle III. 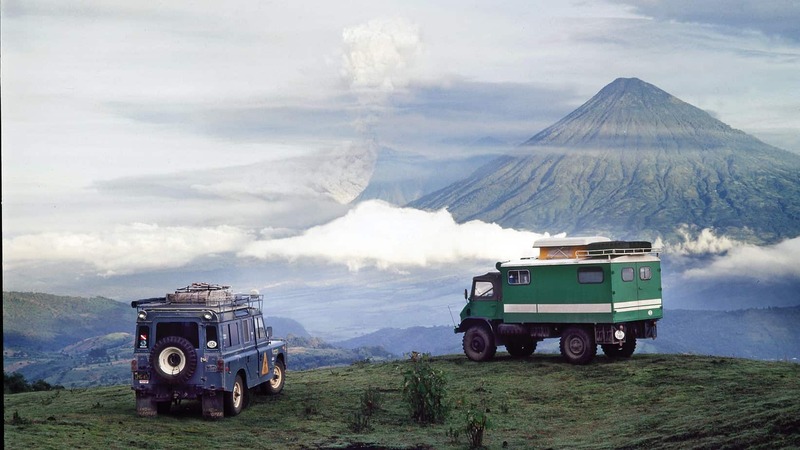 For international overland travel, we now knew that diesel power was the way to go. Fuel is available everywhere, and quality is uniformly good. 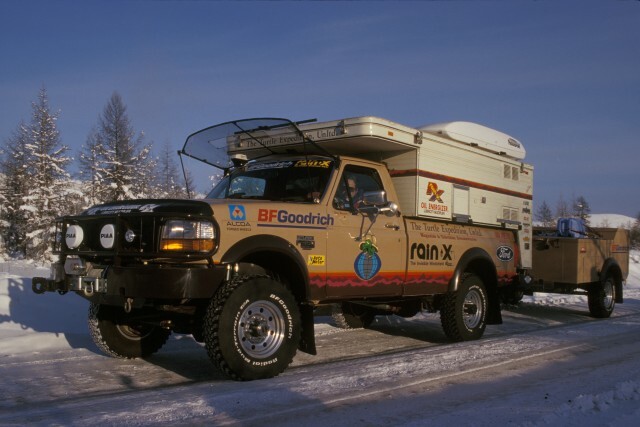 In 1987, Ford became a sponsor, and supplied us with an F-350 4WD truck, powered by the 6.9-liter International diesel. All the problems normally associated with gasoline engines—carburetors, ignition systems, fuel quality—suddenly became a thing of the past. We added a Banks turbo, and basically didn’t touch the engine for the next 160,000 miles. 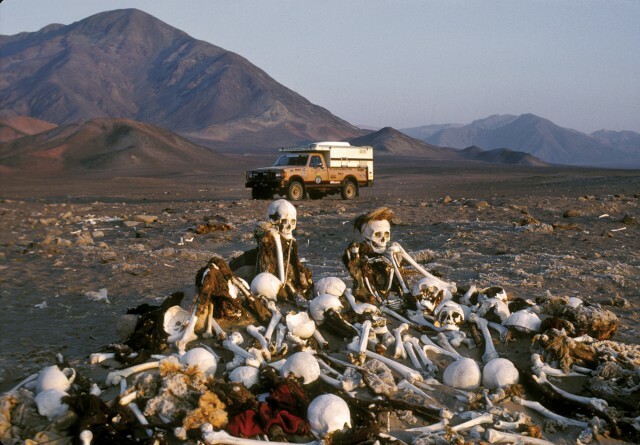 A 14-month, 50,000-mile exploration of South America was proof enough. Fording rivers in Ecuador, climbing mountains in Chile (over 16,710 ft.), and slogging through the mud of the Amazon, we seldom got less than 12 to 14 mpg on whatever diesel was available. The 4-speed manual transmission was bulletproof. As we began planning our next adventure, driving across all of Russia from the Pacific to the Atlantic, the miles on the Turtle III gave us some concern. Crossing Siberia and following backroads around the world would make our exploration of South America seem like a drive in the country. Shadowed by the probability that what could go wrong would, we had to consider worst-case scenarios. Turns out, there was no year-round road across Eastern Siberia. 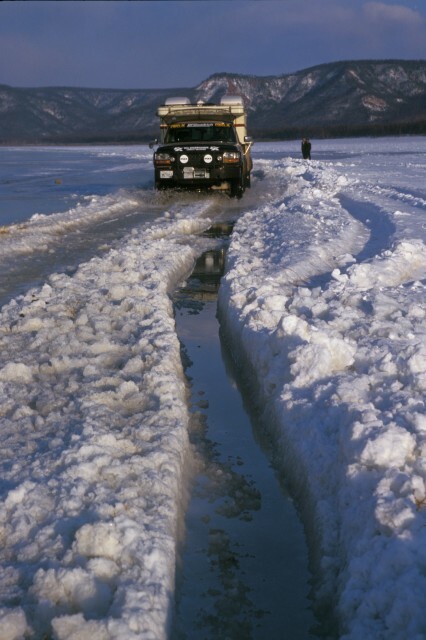 In Summer, the permafrost thaws into bottomless mud, bridges wash out, and rivers stop even the big 6X6 Kamazes and Urals. 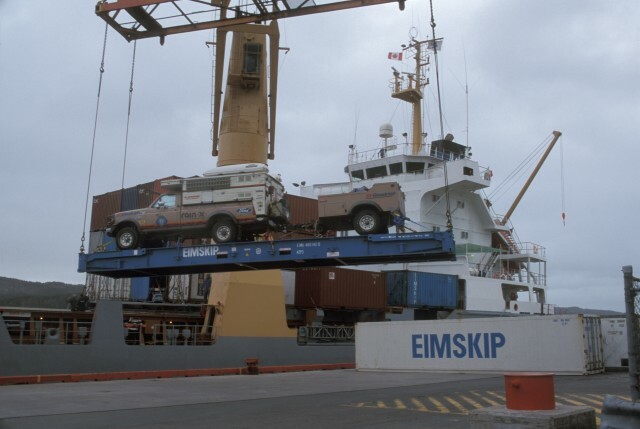 I had seen this first-hand on the 1990 Camel Trophy, where tractors were the only way to move our convoy of factory-prepped Land Rover Discoveries and Defenders forward. Monika and I would not have such support. You think it’s cold when you can see your breath? Try breathing when it’s 96 degrees Fahrenheit below zero. That’s 128 degrees below freezing. In those temperatures, metal can crystallize and snap, tires reach their glass-transition point and crack, lubricants become solids, and diesel looks like tapioca pudding. Exposed skin is vulnerable to frostbite after only a few minutes. 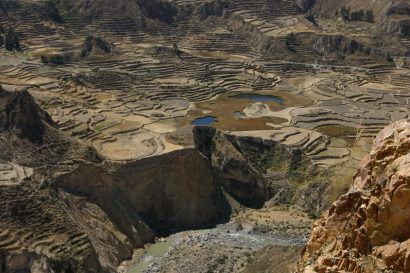 Added to these dangers were rumors of food and fuel shortages, bad roads or no roads, lack of mechanical and medical facilities, bandits, mafia, and corrupt police. The Turtle IV would be much more than transportation through a web of uncertainty. It would also be our castle. Ford and International agreed that a new truck with the 7.3-liter turbodiesel would be a safer bet. Following in the steps of The Turtle III, the new 1992 F-350 had a hard act to follow, and a tougher path ahead. Reflecting 24 years of practical experience exploring the backroads of the world, including covering three Camel Trophies, we had the advantage of looking through a filter that usually tells us what works and what doesn’t. We also had the luxury of a well-established team of sponsors, allowing us to use what we considered the very best products for the journey. More than 70 companies were involved in The Turtle IV’s preparation. Quality, functional performance and absolute reliability governed all modifications. The basic integrity of the Ford F350, powered by the dependable International diesel, was never compromised. 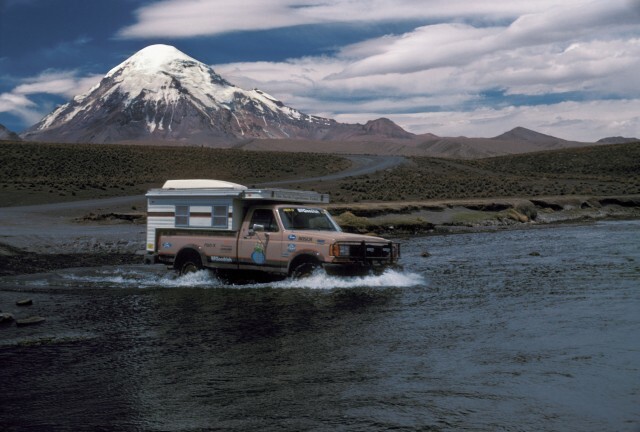 After extensive testing in Alaska and Mexico, The Turtle Expedition completed a three-year, 36,000-mile circumnavigation of the Northern Hemisphere, making The Turtle IV the first American vehicle to cross the Eurasian continent, ocean-to-ocean, completely overland, traveling some 1,200 miles on frozen rivers and winter roads through the wilderness of the Russian Far East. To the Ford’s credit, we had no major mechanical problems during the entire journey. 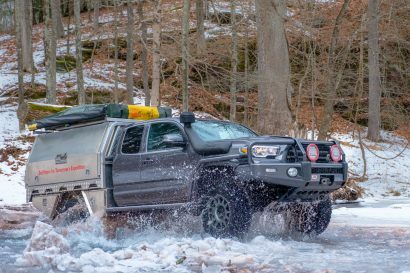 Our Four Wheel Pop-Up Camper, custom designed and built specifically for our around the world expedition, had been unsuccessfully modified to handle the extreme cold of Siberia’s Winter. It survived, and we survived, but in the process we again discovered the reality that despite its light weight and low profile, a pop-up camper is still a tent, best suited for temperate three-season camping. Once spring arrived, the camper performed as we expected, with the exception of sidewall leaks during torrential downpours, and dripping condensation from the roof. Traveling through western Europe, we met many fellow overland adventurers at events such as the African Fest, Globetrotters gatherings, and the huge annual Off-Road Vehicle Show in Munich, Germany. We were impressed with the designs of their vehicles, based on Mercedes Unimogs, M.A.N.s, Bedfords, Tatras, Kamazes, Magirus Deutzes, and Bucher Duros. We wondered if we could do the same on a Ford pick-up. We visited the factories of Unicat, Langer und Bock, Alustar, and Bucher Duro, premier experienced builders of expedition vehicles. We took serious notes. About that time, Ford introduced the F-550 4WD with the Powerstroke turbodiesel V8. 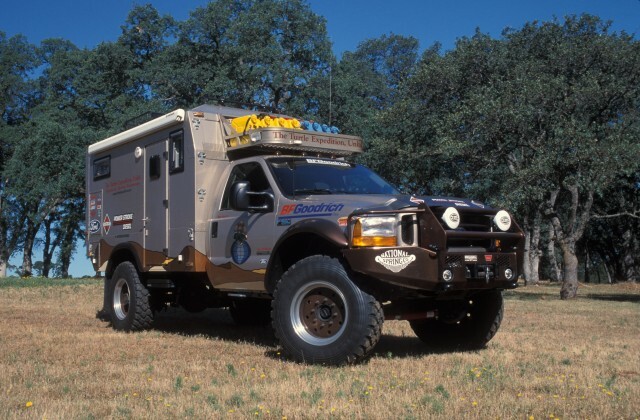 Its GVWR of 17,500 pounds would easily handle a downsized, European-style hard-shell camper. Were we getting soft, I wondered, or smart? The F-550 had the Turtle V written all over it, so we began a new project, very different from anything we had done before. One major modification was to change the dual rear wheels to singles, which are infinitely easier to deal with in the field. This required some tricky engineering and custom rims. Finding a tire that had a single weight capacity of at least 4,500 pounds took us in circles, until we wound up with the Michelin 335/20R XZL MPT. The 20-inch tire would be easy to find in Europe, Asia, and Africa, and it carried its full load of 4,670 lbs. at a soft 55 psi. 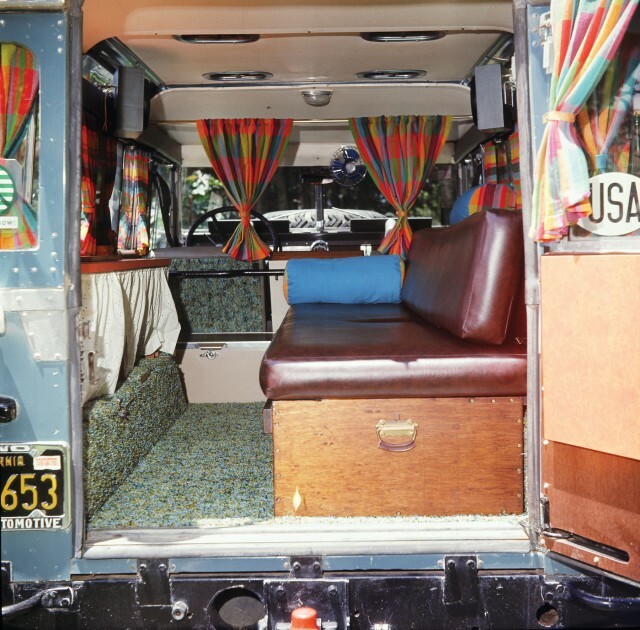 For the camper design, the Germans had some very interesting and practical ideas. If you want an inside shower and toilet, where do you put it? How about the doorway? That’s a space that is always there, right? A bed that collapses during the day greatly increases the living area. Marine electrical systems like Blue Sea and Balmar increase reliability and function. Solar panels, marine hot water heaters, German Espar heaters, and Seitz dual-pane windows were obvious choices. Nida-Core, an extruded polypropylene honeycomb material, had superior strength to the foam core typically used in Germany. We designed a welded aluminum exoskeleton for the camper box, which was covered with Nida-Core panels skinned with fiberglass, attached using a marine adhesive. 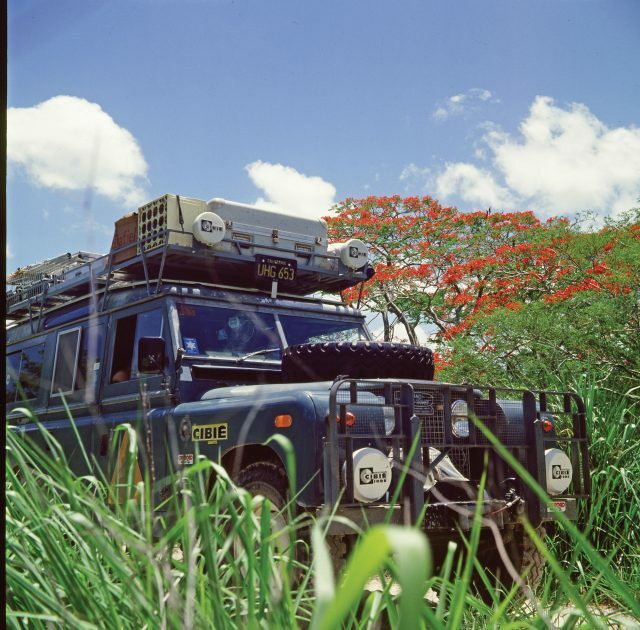 Perhaps most importantly, we used the flexible three-point attachment/suspension system universally incorporated into European expedition campers. You cannot twist a box. It will break, much to the dismay of people who try to take ordinary American RVs over bad roads. Thirty miles on a muddy logging road might be no problem. Extend that same road for 10,000 miles and send me a post card. We even managed to crack the frames in both our Four Wheel campers, the result of the inevitable flex in the vehicle’s chassis being transferred into the camper over tens of thousands of miles. 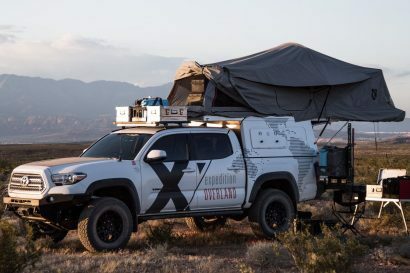 The three-point attachment system prevents that flex from transferring to the camper box, isolating it from much of the stress it would otherwise receive. As we begin preparation for our next major expedition, the Trans Eurasian Odyssey—from Lisbon, Portugal, to Shanghai, China and around the world, traveling through 17 countries with uncertain road and political conditions—we will find out how well we have done our homework. 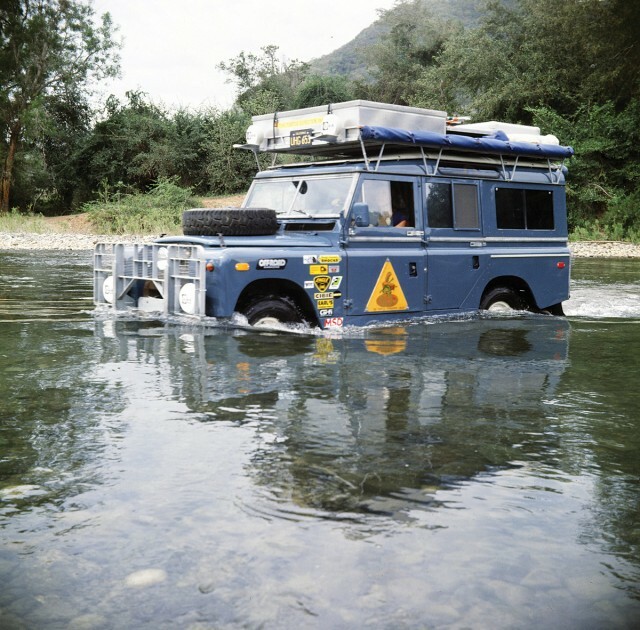 While The Turtle V is infinitely more comfortable than our old blue Land Rover, it is also far more complex. On the Turtles II III, & IV, the windows rolled down with a crank. The doors locked with a key. The engines had no black boxes. Today, traveling into remote areas of the planet, one must carry an OBD II reader/scanner and a satellite phone. No longer can we adjust the timing by ear and set the point gap with a matchbook cover. Fiddling with the fuel mixture on your carburetor is history. 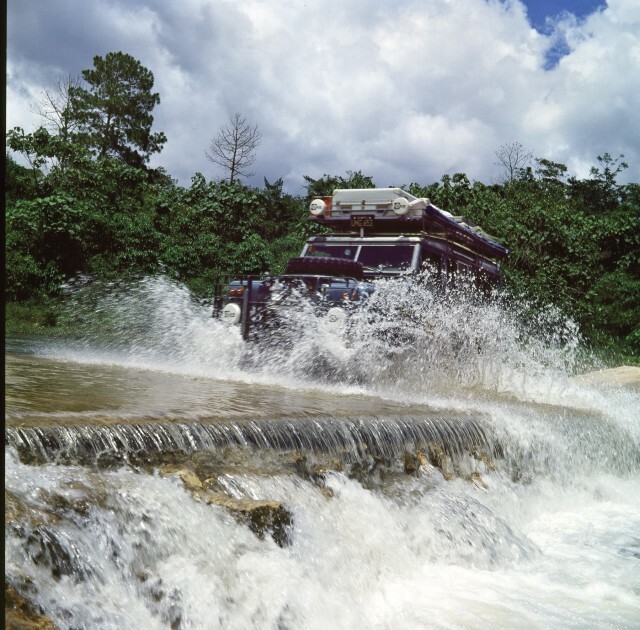 Despite the reliability of modern vehicles, the challenges of overland travel have not lessened. They have only changed. If we decide to build a Turtle VI, we will surely encounter some surprises.